Cleanliness is one of the first things a customer notices about your commercial space, which means it can make or break an often-crucial first impression. 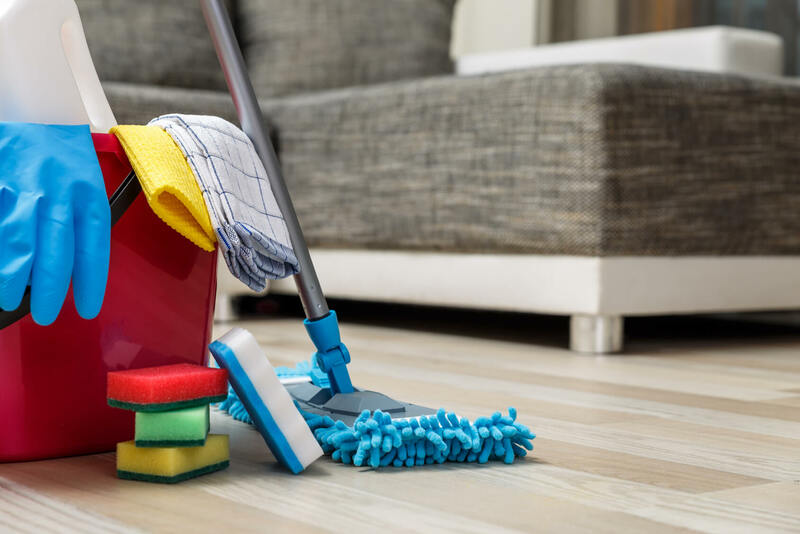 While you might think your habit of wiping down your desk every now and then is enough to get by, hiring a professional cleaning services provider is an important investment in assisting with your client’s trust. Here are 7 sure-fire signs you need to bring in a professional cleaning service. Did you know the average keyboard can be dirtier than a toilet seat? Or that flu viruses and other bacteria can survive on the surface of a desk for up to 24 hours? Given the average Australian will spend over a quarter of their week at work, that gives them a lot of time to contract and spread a nasty bug. The science speaks for itself on this one: the dirtier your workplace, the higher chance your employees have of getting sick. If you’ve noticed a spate of employee absences the cleanliness of your workplace may be a likely suspect. Hiring a professional in cleaning services is a major step toward keeping your employees healthy, happy, and productive. Have you ever sat down to work and immediately been side-tracked reorganising the papers in your inbox? How about struggled to find a pen while juggling the phone on your shoulder? It’s no secret that a disorganised desk negatively impacts your productivity, but the same can be said for your workplace as a whole. And it’s not just your state of mind at risk. An unclean office can see an increase in workplace hazards – obstructions and dangers that must be dealt with throughout the day to the detriment of your productivity. Those who spend all their time managing their environment aren’t getting any work done in it. It’s a proven fact that employees are happier, safer and work harder in a clean, tidy space. So if you find your leaderboard looking a little sadder each week, turn your sights to your workplace cleanliness. Your bottom line will thank you. We all know that hesitation before inviting someone to our house: Have we taken the rubbish out? When was the last time we vacuumed? Has the pet hair developed its own social system yet? If anything, inviting customers and clients into your workplace is fraught with even more tension. After all, your work environment is an extension of your product or service – you need to present a professional front, and cleanliness is your first line of defence. So if you find yourself hesitating—even making excuses—not to bring your customers behind the scenes of your operation, it’s a sure sign you know your workplace cleanliness isn’t sending the right message. Which in turn is a sign you should do something about it. Whether it’s the trusty copy machine or a top-of-the-line screen printer, your tools and equipment are all-important in the function and sustainability of your business. Repairs, maintenance, and replacement expenses are a reality every manager must face, but excessive breakdowns can be a sign that your equipment is suffering the knock-on effects of its environment. Keeping your workplace—and thus your equipment—clear of dust and contaminants increases reliability, cuts down on service calls, and generally extends the life of your tools. So if you find yourself on a first-name basis with the copy machine repairman, it’s definitely time to contact a reliable cleaning services provider. Calling on your employees to pitch in and help with the cleaning may seem like a good way to cut costs, but it can be ground zero for some serious workplace stress. All it takes is one person not pulling their weight, or a slight difference in cleanliness standards, and the whole system can fall apart. The next thing you know you’re mediating workplace arguments instead of scheduling sales meetings. So before you trigger Work War III in the office kitchen, consider bringing in professional cleaning services. Not only will your employees thank you, but you’ll get a more thorough, consistent job for your efforts. Studies show Australian businesses fork out a whopping $11.4 billion due to poor office cleanliness. Of that, $6 billion is due to employees avoiding unclean workplace areas. Whether it’s queueing for the clean toilet stall or leaving the office for coffee rather than brave the grubby kitchen, seemingly small avoidance tactics all add up in the end. So if you’ve noticed a particular toilet stall being given a wide berth, or your kitchen looks like a ghost town during lunch hours, it may be time to bring in a professional cleaning service. If you’re reading this, odds are you know in your heart of hearts that your workplace needs a little TLC – and that’s okay. Running a business is hard, and it can be all too easy to let workplace cleanliness slide down the priority list in the face of looming deadlines. Commercial cleaning services like ours take the job out of your hands so you can better focus on the tasks that directly impact your bottom line. While you’re busy increasing profits, winning clients, and making sales, we’re busy ensuring your workplace remains a healthy, productive, professional-looking one. Presenting a clean, professional front is all-important if you’re going to survive and thrive in a competitive commercial environment. While your internal cleaning roster might seem like it’s getting the job done, odds are some of the above points are lurking beneath the surface chipping away at your bottom line. Hiring a quality cleaning services provider ensures your workplace remains a happy, healthy, productive one. And if you take care of your own business, your clients will trust you to take care of theirs.